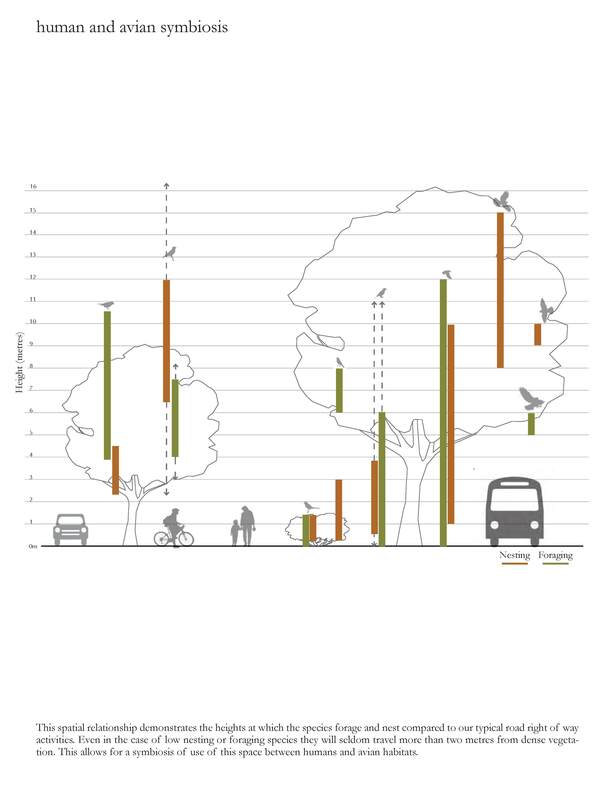 ASLA 2009 Student Awards: Katy Amon's "Road Rights of Way"
Using birds as a biodiversity indicator, this project develops a methodology for integrating viable ecosystems and habitats into marginalized urban spaces to augment quality and connectivity across scales. Road rights of way in Surrey, Canada are used as case studies to explore the integration of avian habitat, ecological function, and human programming as connective conduits. This project demonstrates the role of landscape architects in finer grained design within landscape ecology structural patterns. We are excited that Amon's case studies are based on urban road-side sites. Street trees are planted adjacent to roads. Amon's research not only highlights the role road-side vegetation plays in satisfying avian needs, but her clever methodology can be applied to road-side settings and avian species outside Surrey, Canada. 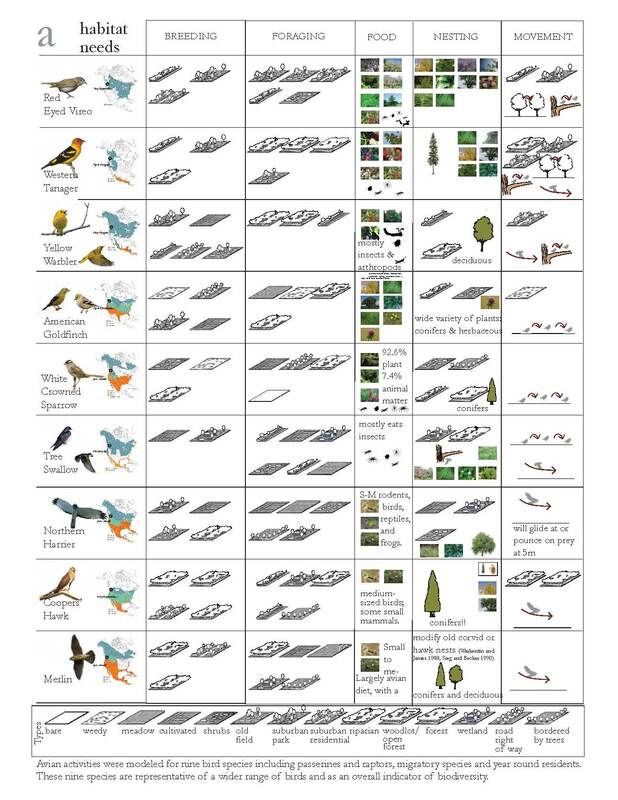 In this diagram, one can see the important vegetation types for each species and how the each species moves between vegetation types (larger version of diagram). Note that each of the nine species uses several types of vegetation types. The elegance of this diagram is its illustration of the various canopy levels used by each species and how this spatial relationship interfaces with human elements. The importance of vertical levels in a planting plan is underscored in this diagram (larger version).